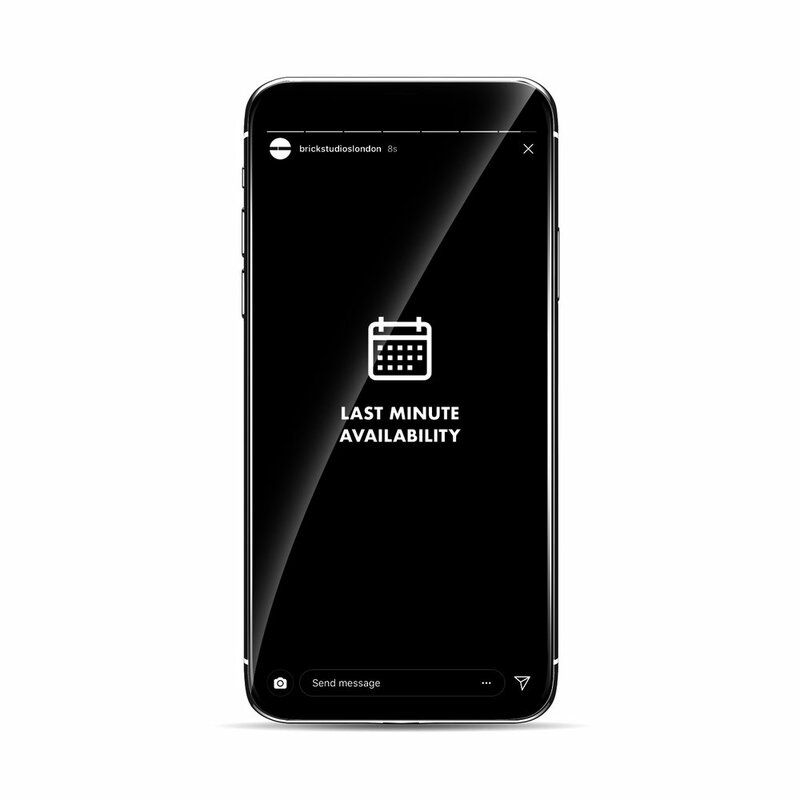 You can now stay up to date with current offers and last minute availability by following our Instagram Story Highlights. These last minute rates start from £200 for Editorial and £120 for Testing. Please call or email us at the studio to enquire further or to ask about facilities and general availability. Shooting next week? We update these daily and offer as little as 1-3 working days notice on dates so keep a look out for bargain deals! For all other availability please call or email the studio for options.